A. There’s no trip more relaxing than a cruise. 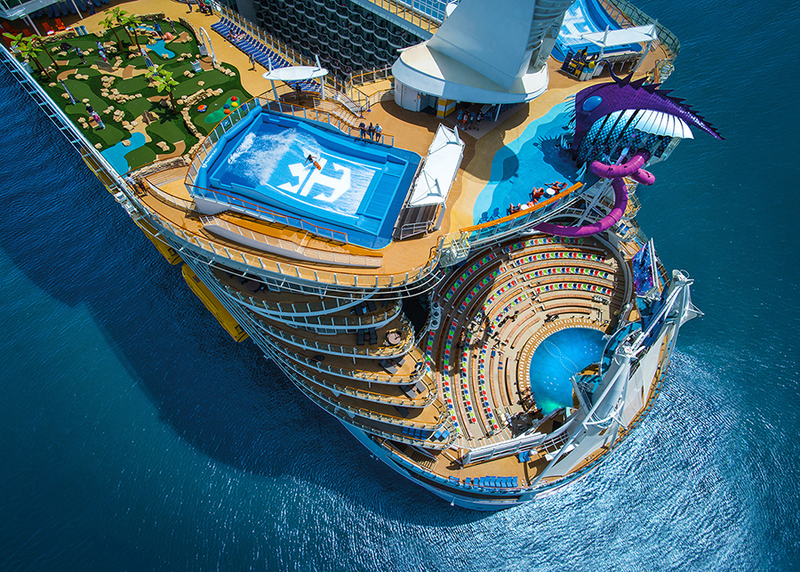 B. There’s no trip more active than a cruise. C. There’s no trip more entertaining than a cruise. The answer is “D.” That’s because there are cruises to fit everyone’s ideal vacation, and TravelStore Master Travel Consultant Wendy Sandridge loves helping her clients find just the right fit for them. Whether your priority is to see exotic locations, spend the day in the spa, eat amazing food, participate in on-board or destination activities or see premiere entertainers, there is a cruise for you. When we sat down to talk to Wendy, she was excited about two groups she is personally hosting on cruises in the next few months. In May, she’s headed to Alaska, and later this year she’s taking a group of 45 people through the Mediterranean along the Amalfi coast. As host, she’ll serve as a point of contact for the group throughout their stay and is even hosting a cocktail party on-board. She’s helping all of her clients tailor their activities to their interests while still ensuring the group has time together. Her Alaska trip, aboard the Mariner, part of the renowned Regent Seven Seas fleet, is sure to wow her guests. “I love Regent because this is ‘ultra all-inclusive’ travel,” says Wendy. Everything from excursions to alcohol and even gratuities are part of the package. Her extensive shipboard credit will be a big bonus for everyone in her group, which they can use for special perks onboard. Those are the services you can only get when you book through a travel advisor like Wendy who has relationships with the cruise lines that you can’t get when you try to book on your own. Even when she’s not traveling onboard, she keeps a close eye on her travelers. A group traveling in the Baltic was thrilled to find out she was able to secure triple upgrades at no additional cost! TravelStore’s proprietary cruise tracking tool allows her to follow any new promotions or value-added features for clients, and Wendy can also make arrangements like shore excursions that are not offered by the cruise line. She can set up a private car driver to meet you right when you come off the ship at the port if you’d like to see the sights in a more intimate setting. Her second group is meeting in Rome and traveling along the coast of Italy and Croatia with Sea Dream Yacht Club. With 112 guests and 95 crew members, guests are guaranteed a lot of personal attention. Everyone receives their own monogrammed pajamas, and you can even wear them when they arrange for you to sleep outside on-deck. There are Thai masseuses onboard and a marina off the back end of the ship with jet skis. You can cruise to ports along the coast of Italy or France or the Caribbean. Even with a group that large, Wendy has been able to help with all the pre- and post-travel as well, coordinating the travel for all 45 guests to meet up in Rome from multiple cities and for those who want to do some additional travel before they return home. Cruising offers benefits you can’t get on any other vacation, Wendy reminds us. There are no trains, transfers or travel headaches. The best part? You only have to unpack once but have the opportunity to visit multiple destinations. “Your cabin is your home away from home,” Wendy says. “You know what you’re coming home to every single night.” During the day, however, there’s always plenty to do – or not do – on the ship, and you know your costs up-front for all your meals and activities. Those activities aren’t just shuffleboard either. Cooking classes, golfing, computer classes, spas, bridge, lecturers, nationally-recognized entertainers and casinos may be found on-board.